I'm recasting a single audition for Fiona Fox from the Archie Comics! This is a backup audition, mind you. Because I’m still waiting for this one person who I originally casted is still on delay sending her lines. So that’s why I’m recasting this audition for any female voice actress who wants to try. 2: Take a few takes while recording. Fiona was Sonic's ex girlfriend. She was once a part of the team of the Freedom Fighters, but not always there while on dangerous missions. Tails had a huge crush on her, but his heart was broken when he discovered that the reason Fiona have been disappearing a few times was because she had hooked up with Scourge (Sonic's evil twin). 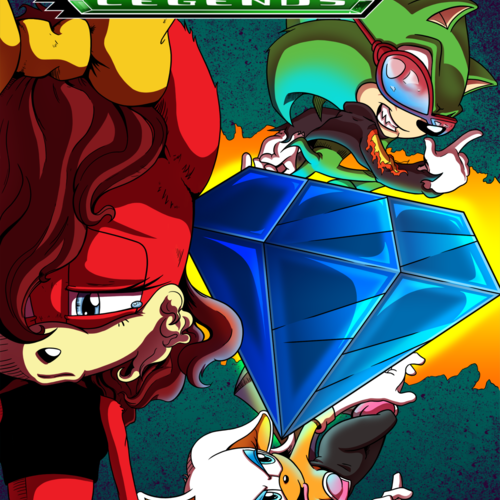 Now Fiona is helping Scourge to claim revenge on Sonic and the Freedom Fighters. I won't be swayed by you or Sonic or anyone else! This is what I want! (Trying not to cry yet being a little sensitive on her side) S-shut up! I tried to be a Freedom fighter. It didn't worked out! Don't act like you know everything about me! I wouldn't do all that if I didn't love him! And he loves me!